KANSAS CITY, Mo. – The temperature may still be cool outside, but it is a perfect time of year to start getting prepared for the boating season. Boating safety advocates are urging boaters to enroll in a boating education course prior to the main boating season. 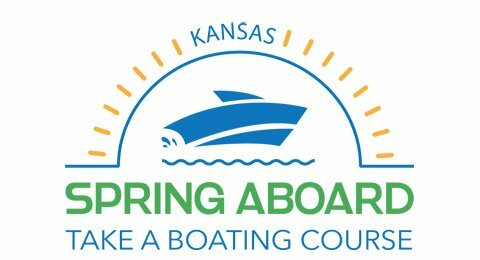 Spring Aboard – Take a Boating Education Course campaign is a nationally coordinated effort during the week of March 18-24, 2018, to increase the awareness of taking a boating education course. U.S. Coast Guard statistics indicate that of the accidents where the level of operator education was known, 77 percent of boating deaths occurred on boats where the boat operator had never received boating education instruction. With today’s wide variety of courses available, there’s a course for every boater schedule. Boaters have multiple options from classroom courses offered by the Coast Guard Auxiliary and United States Power Squadrons to online offerings available anytime day or night. For more information about the annual Spring Aboard campaign, visit www.springaboard.org.